25 images for three options of 3D wallpaper for walls: modern 3D wallpaper designs for home walls, LED wallpaper, 3D fluorescent wallpaper images. Often people have a desire to change the atmosphere around them. This is an excellent occasion for home repairs. There is a question: which repairs to do. Modern society has long preferred 3D movies, and technological progress has made us another gift: 3D wallpaper for home walls. Create in your apartment a time machine or a wall that erases distances. Now almost everything is in your power! Modern technology is not limited to the development of fashionable gadgets. Now 3D objects are full elements of the interior and entered our life under the name 3D effect wallpaper. At the height of popularity now there is a trend of using for the decoration of walls with the help of 3D wallpaper designs. 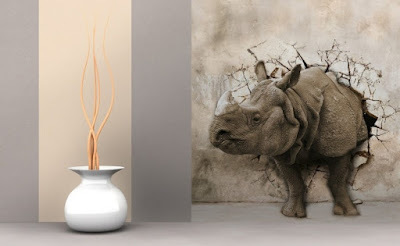 Finishing walls with 3D effect wallpaper create a unique and unusual interior for any room. Not so long ago, not every person could afford these 3D wallpaper for walls, they were made mainly by order and for a very high price. But almost all innovations sooner or later become accessible to most people. 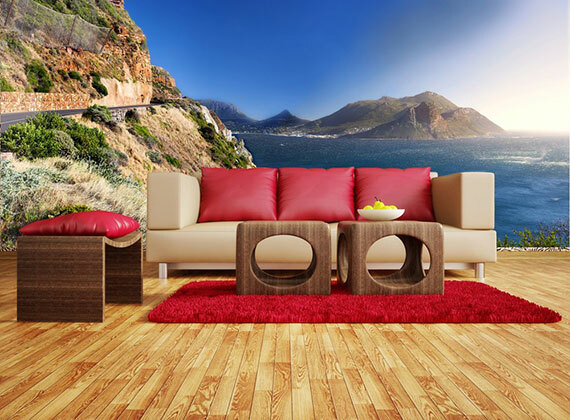 This is the newest design of the finishing wall covering, which is a picture applied to the canvas and when viewed visually creates an impression of the volume of the image. There are wallpaper with a picture that seems to the viewer to be volumetric - these are geometric figures, flowers, snowflakes, any repetitive decorative elements. The picture can be colored, but you can buy 3D effect wallpaper for walls with drawings, which is especially suitable for kitchen or children's room walls. In any case, the main thing in them is the visual "bulk" of the elements. A wall, covered with 3D wallpaper design with drops of water - so real that I want to reach out and touch; or flowers that never fade, although they look quite like real ones; or fruits that "even sees an eye, but a tooth does it" - such illusions will enliven any interior. It is just as unusual to look on the wall, say, a three-dimensional tree, or "traces" of someone's paws, or stonework - it seems to be chilling with cold. In other words, a person who is near a wall, covered with 3D effect wallpaper, sees not a wall with a landscape image next to it, but a three-dimensional space with a real landscape - whether it's forest, seashore, city streets, or whatever. In addition, modern wallpaper designs are usually printed on a single cloth-film of the size required for a particular wall. 3D wallpaper for home walls is a very bold design move. 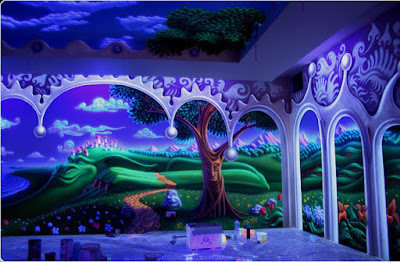 If you cover the entire room with them, you will get a complete illusion of the landscape or room depicted on them. Before choosing such an option, ask yourself, is it necessary? How will furniture, curtains, decor and other interior items look in this space? It is usually better to show a sense of proportion and limit yourself to a single wall. Even so, the visual sensation will be as if there is no wall, and immediately outside the room begins a summer park, or a sea endless distance, or a Gothic castle. 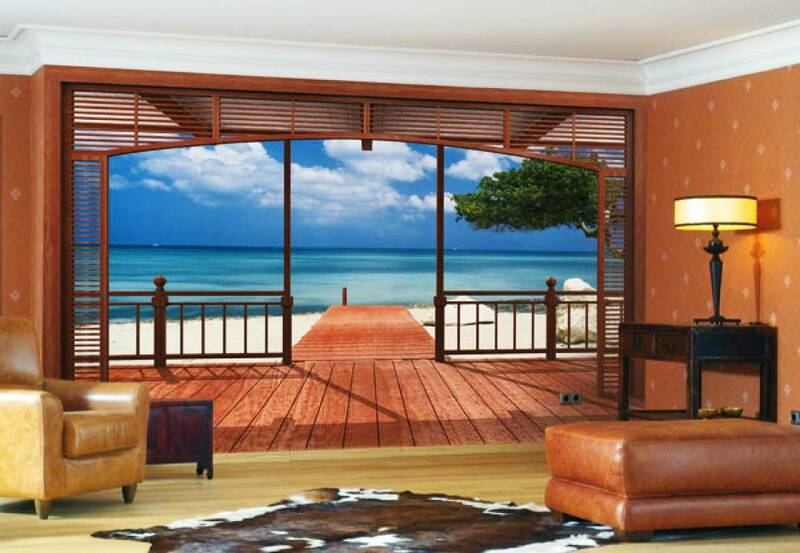 To enhance this effect, you can partially distribute the image to the ceiling and the floor, a modern 3D effect wallpaper is suitable for this too. Visual effect: the ability to get the desired visual effect of volume depending on the choice and preferences. 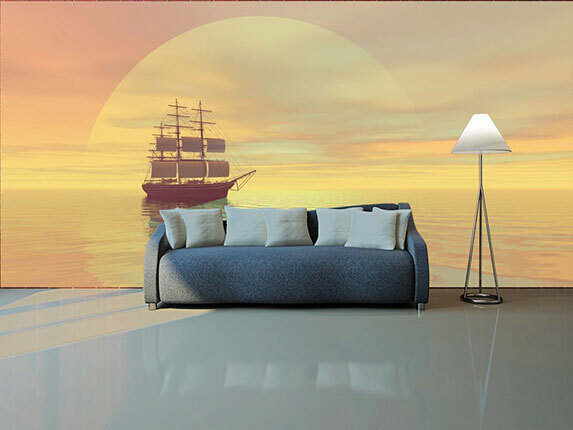 A wide selection of thematic images of 3D wallpaper designs allows you to create the right decor based on the specifics of the room. Wear resistance: the basis of 3D wallpaper for home walls is polyester, which is not afraid of dampness, has resistance to mechanical damage, is not exposed to ultraviolet radiation (wallpaper does not fade when sunlight hits them). 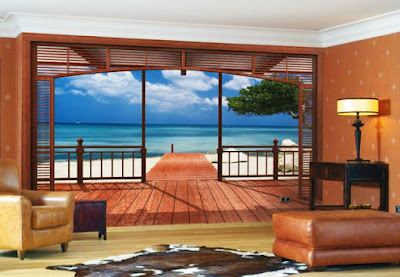 Also, 3D effect wallpaper images have good dirt-repellent properties and water resistance is also at the proper level. In case of contamination, wipe with a sponge and soap solution. The average warranty period is from 5 years. 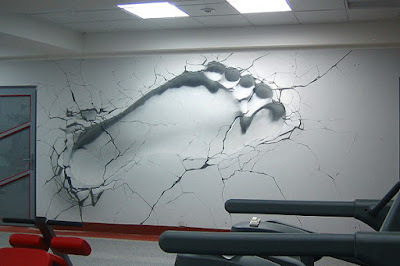 Refractoriness: Polyester does not burn and does not smolder, high-quality 3D wallpaper for walls are always covered with a non-flammable primer. Ecological safety: all the constituent materials are absolutely harmless to the human body. The simplicity of the label: do not require specific skills, glue, like ordinary vinyl wallpaper. High cost: medium-quality 3D wallpapers cost from 25 USD per 1m 2. When an individual order for the desired subject, the cost increases at least twice. Psychological factor: for people with nervous disorders, the effect of presence can become a trigger for relapse of the disease. 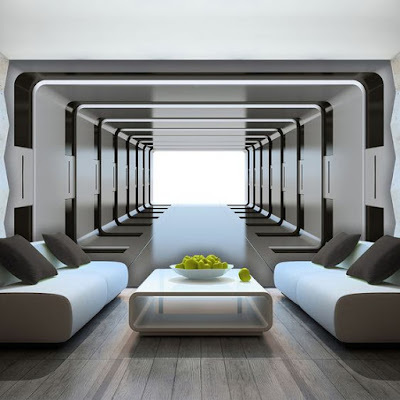 Dependence on room volume: in small rooms, there is no 3D effect, which excludes use in hallways and other small rooms. Producer: while the main indicator of quality is the price, in no case can not choose 3D effect wallpaper images in Chinese stores. There is a real risk to buy conventional wallpapers on poor-quality polyester without a visual or slightly pronounced effect of realism. Compatibility: when choosing wallpaper with 3D effect, it is strongly recommended to take into account the opinion of each member of the family. When choosing 3D wallpapers for kids room walls, first of all, you need to take into account the opinion of the child himself, otherwise, there is a chance to cause serious damage to the mental state of the child. 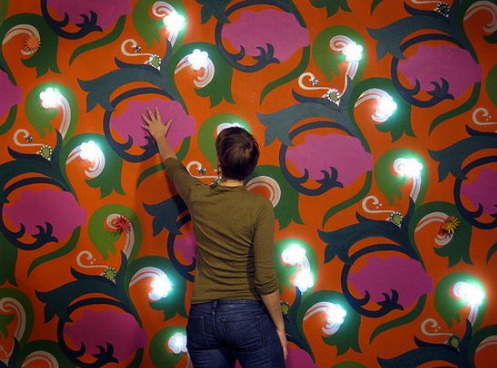 Fluorescent 3D wallpaper has a dual effect on perception, which depends on the time of day. 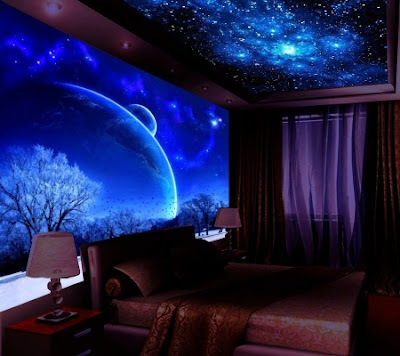 If in the daytime it is an ordinary 3D effect wallpaper, then at night, thanks to the luminous coating and the use of special lighting, it turns out with nothing incomparable effect of optical illusion, which unrecognizably transforms the entire apartment. 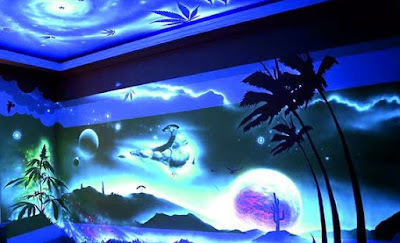 The use of 3D fluorescent wallpaper for home walls is possible without special illumination, even under the lowest lighting conditions, the wallpaper begins to emit a pleasant soft light, which makes the picture more voluminous and surprisingly realistic. The luminous paint is made from ingredients of bone meal that does not harm human health. Fluorescent wallpaper designs with 3D effect have all the advantages of the usual 3D wallpaper images described above, an additional factor in favor of their choice is a dual effect of perception and a calming night action. Also, due to light effects, fluorescent wallpaper is popular in nightclubs (cafes, bars, restaurants). 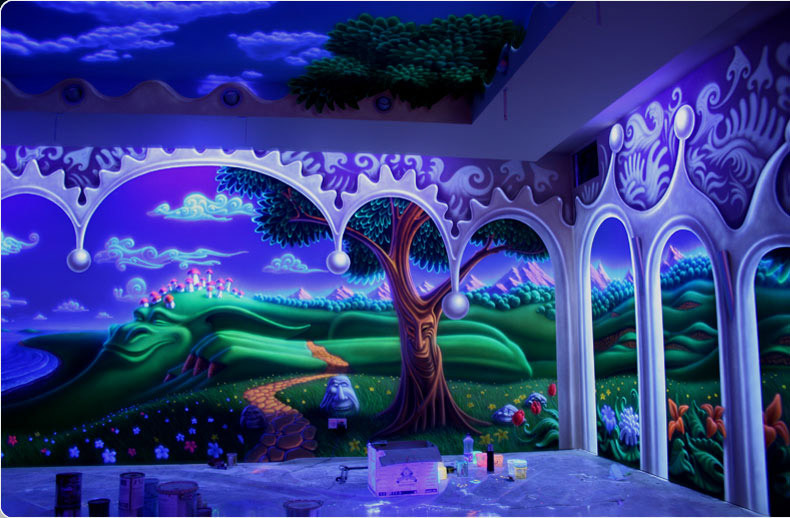 The main disadvantage is a rather high cost, the minimum price for a good quality fluorescent wallpaper is repelled from 60 USD per 1m 2. Installation of additional lighting also refers to the shortcomings of fluorescent wallpaper. Technology stickers are no different from the label of conventional vinyl wallpaper, given the cost of such wallpaper, manufacturers recommend first to glue the walls with white paper. 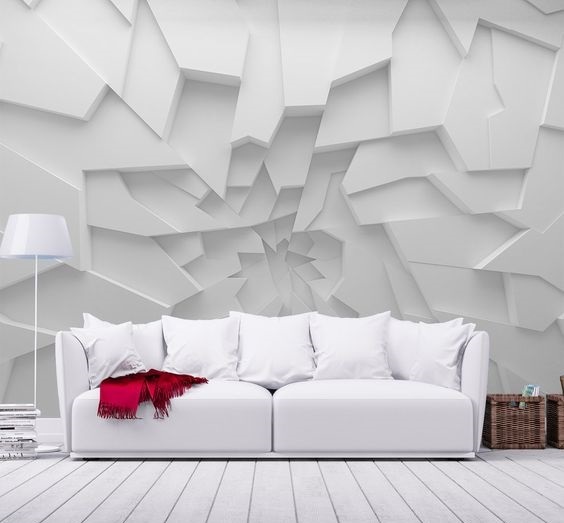 With perfectly white and clean walls, you can do without an interlayer. To achieve the best visual effect, it is still recommended to use a special backlight, consisting of low-power lamps, similar to fluorescent tubes. At the device of illumination, it is necessary to consider the following proportion: 1 lamp on 3м 2 of wallpaper. To improve the design of the lamp it is necessary to hide in specially made technical niches on the ceiling or in other hidden places. 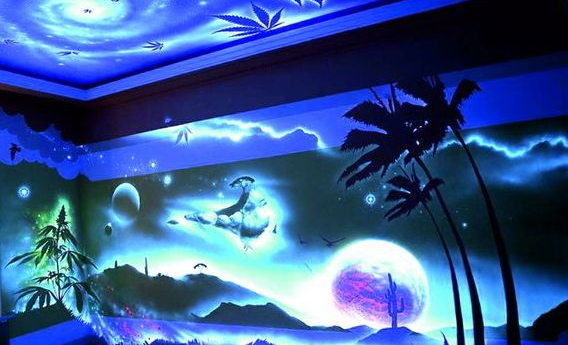 Five years ago, a new type of wall coverings - 3D LED wallpaper - entered the building markets. Experts predict that such wallpaper designs are a serious competitor not only to all types of wall coverings, but they may well supplant the usual lighting devices. Quite expensive and complex production technology does not yet provide the possibility of mass application, but developers note the progressive dynamics of price reduction. 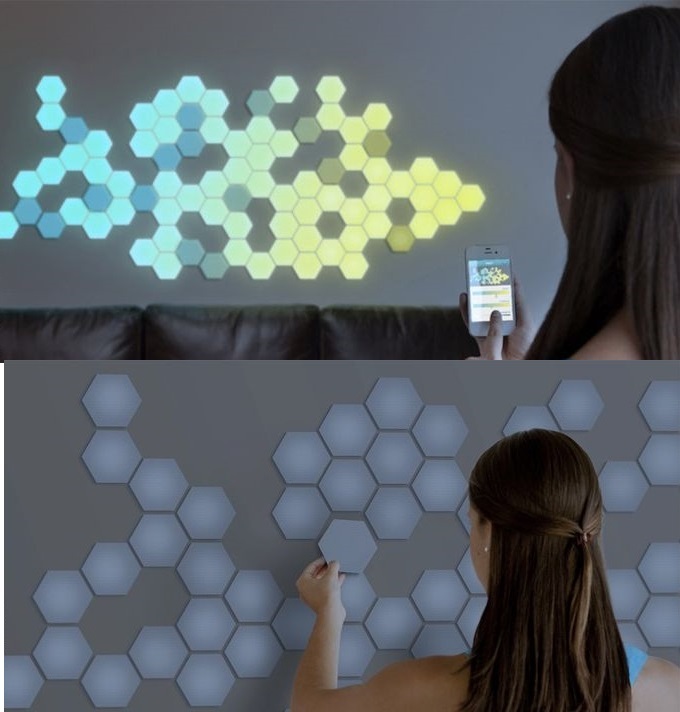 If you look at all, the LED 3D wallpaper designs for home walls is a system consisting of an LED coating that is controlled by the built-in computer chip. Depending on the desire of the owner with the help of the control panel can vary not only the degree of brightness of the LEDs but also to choose different combinations of patterns. Also, the possibility of a partial disconnection of a certain area of wallpaper is laid. If to be objective, then they are not very similar to wallpaper, the most accurate name is flexible LED panels covered with a special compound that starts to glow when an electric current hits it. Currently produced LED wallpaper designs to work as well as from an autonomous power source (batteries and solar panels), and from a 220-volt network through charging and rectifying devices. Manufacturers guarantee 100% safety of use in relation to electric current. 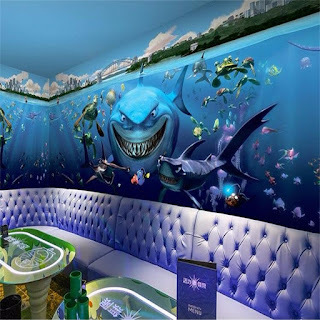 Based on the types of 3D LED wallpapers offered for sale, you can identify the following advantages and disadvantages. Energy saving: when used as the main source of light, LED wallpapers are twice as energy-saving as energy-saving lamps. Quality of lighting and design: the soft diffusing light of LEDs resembles daylight, from which the eyes do not get tired. At low power consumption, a sufficient luminous flux is obtained for the optimum degree of illumination of the room. The absence of a visible light source and gently shining walls create a unique design of the premises. Durability: as this is a novelty, there are no confirmed facts of the warranty period, the quality and durability of the LED 3D wallpaper are not experienced yet. Depending on the manufacturer, the modern LED wallpaper for walls can be pasted with a conventional wallpaper glue. When sticking, it is necessary to observe the required overlap parameters, which is necessary for the necessary contact of the electrical circuit. More complex LED wallpapers are collected by specialists and attached to a self-adhesive base. The price, as in all types of goods, depends on the manufacturer. In the British online store Blackpop high-quality LED wallpaper, powered by a 220-volt adapter, costs from $ 240 per roll. Roll dimensions are standard, width53 centimeters, length 10 meters. But this is a really high-quality product. 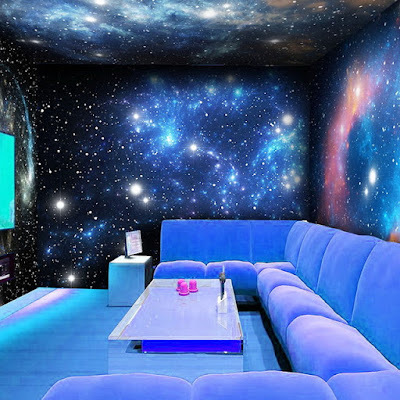 Chinese online stores offer LED wallpaper from $ 25 per roll, quality is still unknown, but if you take into account the so-called "Chinese factor" they are unlikely to sell a good thing.